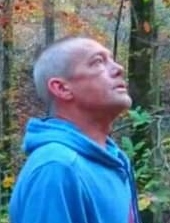 David Lee Smith of South Pittsburg passed away February 4, 2019. He is survived by his wife, Gwyn Smith; children, Brandon Smith, Cody Smith, Lynnsie Collins, and Codey Kirk; 7 grandchildren; siblings, Linda (Chris) Parker, Teresa (Todd) Lint, Savannah Johnson, Frances (Glenn) Young, John Earl (Katie) Smith; several nieces and nephews; mother in law, Mary (Tim) Richards; father in law, Dana (Joyce) Derhammer; sister in laws, Marca (Steve) Corning and Dawn (Brian) Weaver. He was preceded by his parents, John Henry Jr and Shirley Smith. Visitation will be Thursday from 2-8 and the funeral will be 3 PM Friday February 8, 2019 from the Valley Funeral Home Chapel in Stevenson. Burial will be in the Mt Carmel Cemetery.